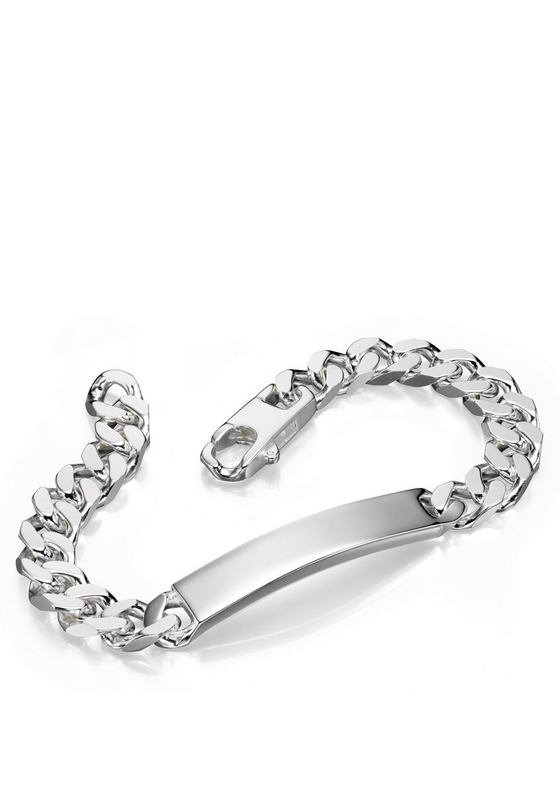 A striking silver plated bracelet for men from Fred Bennett. This bracelet features a classic curb style link and features a polished name plate that can be engraved. A chunky bracelet that makes a real statement piece that can be worn night or day.